Two cases of malaria were reported in Febru-ary, one each in April and March, 17 in May, 25 in June, 42 in July, 82 in August, and 25 in September. 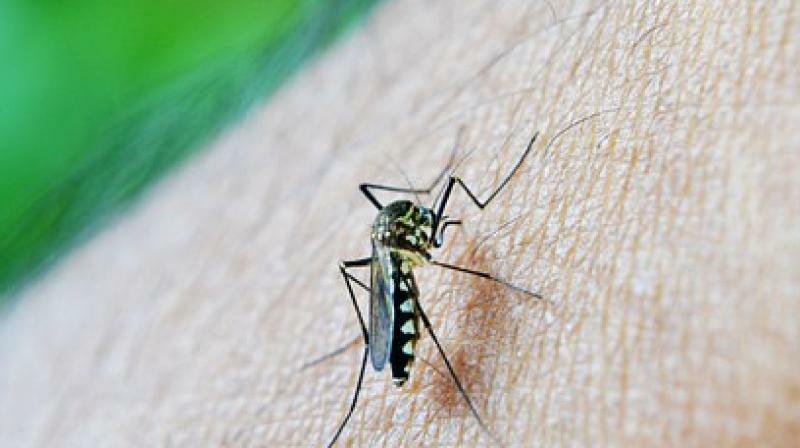 New Delhi: At least 25 fresh cases of malaria were recorded in the city in the last we-ek, taking the total number of people affected by the vector-borne disease close to the 200 mark. Thirty fresh cases of dengue were also recorded, according to a report released by municipal authorities on Monday. The total number of people affected by malaria and dengue this year is now at 195 and 137 respectively, according to the report released by the South Delhi Munici-pal Corporation (SDMC), which tabulates data on dengue and malaria for the city. Of the total 137 dengue cases this season, 30 we-re reported in Septem-ber, 58 in August, 19 were reported in July, six in January, three in Febru-ary, one in March, two in April, 10 in May, and eight in June. The report said domestic breeding checkers found mosquito breeding in 1,40,949 households in the city till September 8.